Is your kitchen cluttered up with all kinds of appliances and gadgets that you never use? I'm guilty of finding a handy dandy gadget and thinking how cool it looks and bringing it home and it sits there waiting for a special occasion to use it. Not the case with Briefton's QuickPull Food Chopper, Blender, Slicer and Grater. This food chopper has so many uses. 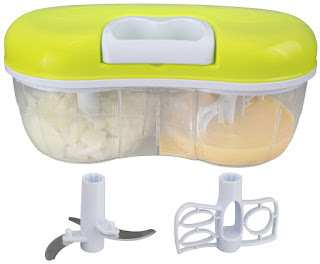 It's a mandolin slicer, a blender, a chopper, and the best part, I think, is that it's manually operated. It needs no electricity, it uses a heavy duty pull cord. That means you can take it anywhere, in your RV, camping, traveling , to a cookout. You're not just bound to the kitchen. The twin cup on this chopper/ slicer holds 6 cups, and there's a divider between the cups that keep things separated and you can chop in one side and blend in the other at the same time. 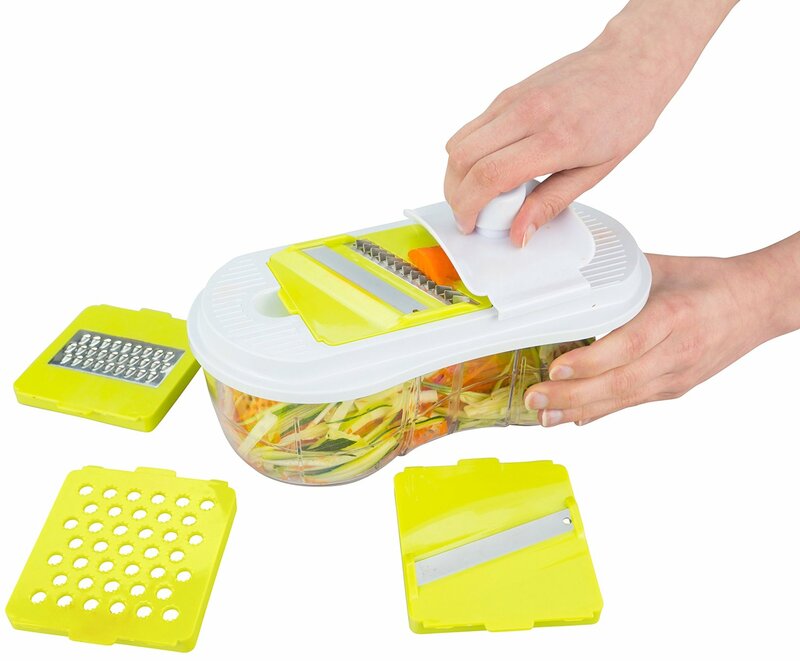 If you chose to use it as a mandolin slicer, there are different blade or grater options. The mandolin slicer fits on top of the twin cups to catch what you slice. 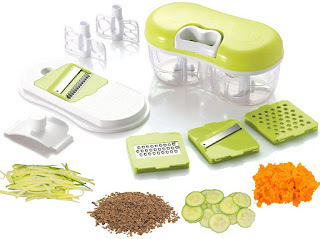 I really like this food chopper / slicer / grater. It can take the place of several appliances, uses no electricity, and it's quiet. I can cook and not wake everybody in my house up.